After the cell phone revolution, now it is the turn of IP phones. They are rapidly becoming a part of our daily life and Xtend's latest product encompasses this technology too. 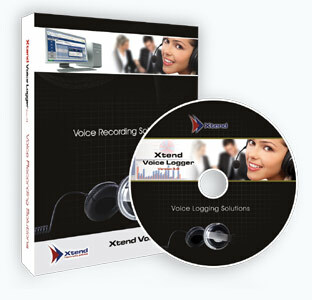 Xtend Voice logger for VoIP Lines is a software based voice logger that snoops on TCP/IP networks to log the audio carried on VoIP connections. Xtend provides support for the VoIP protocols SIP, H.323, CISCO Skinny besides Skype and also blends well in an IP-based PBX. The user friendly web interface provided with the software, assists the user to specify conditions and generate appropriate reports according to his/her requirements. Just like the other models of Xtend Voice Logger, IP model is a passive logger that does not tamper with the voice quality or the signalling system. Again, no change is required in the existing system configuration to install this model of the logging system.